As I travel to tropical places, I'm captivated by blue - in the sky, in the ocean, in the water of the bay and sound. It just seems to dominate and take over. I love the way these white houses pop against the different shades of blue. In this painting, I tried to capture the way blue dominates. As is my norm, I used some red to contrast the soft, inviting blues that envelop. This painting is done on a .5-inch gallery wrapped 24x24 canvas. It comes unframed, but the frame can be added for an additional $200, as depicted in the photos below. As I travel to tropical places, I'm captivated by blue - in the sky, in the ocean, in the water of the bay and sound. It just seems to dominate and take over. I love the way these white houses pop against the different shades of blue. In this painting, I tried to capture the way blue dominates. As is my norm, I used some red to contrast the soft, inviting blues that envelop. 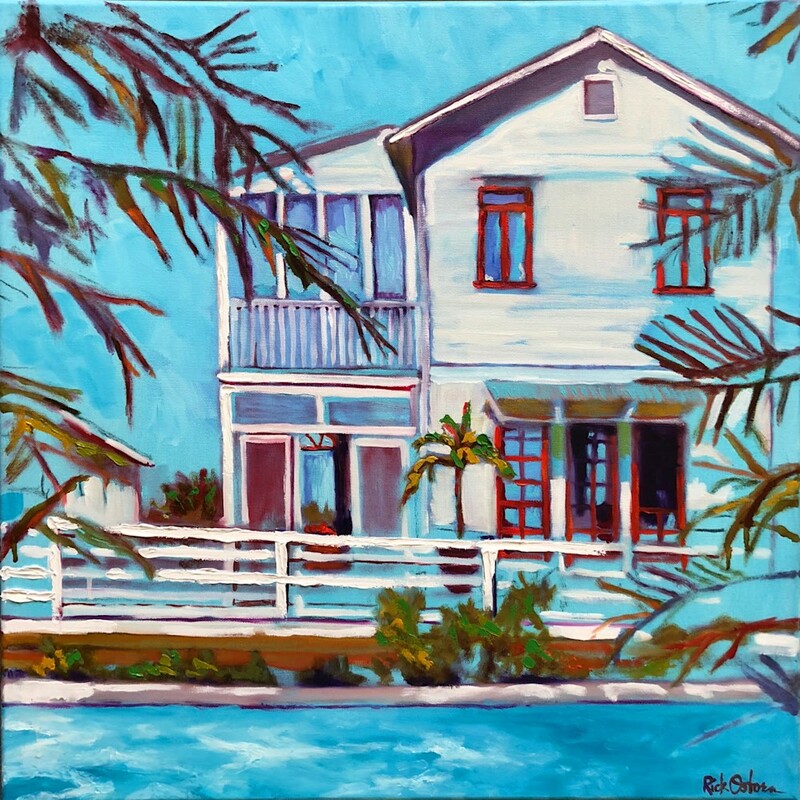 This painting is done on a .5-inch gallery wrapped 24x24 canvas. It comes unframed, but the frame can be added for an additional $200.